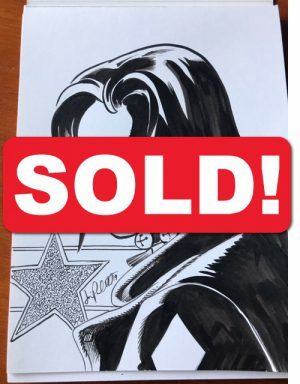 This is the original art for Vampirella: Rebirth #1 pg 8 Amanda Conner & Jimmy Palmiotti. This is the PaperFilms dream team working together. Great for display and learning! Beautiful storytelling, wonderful inks and amazing characters. Classic artwork from the team! 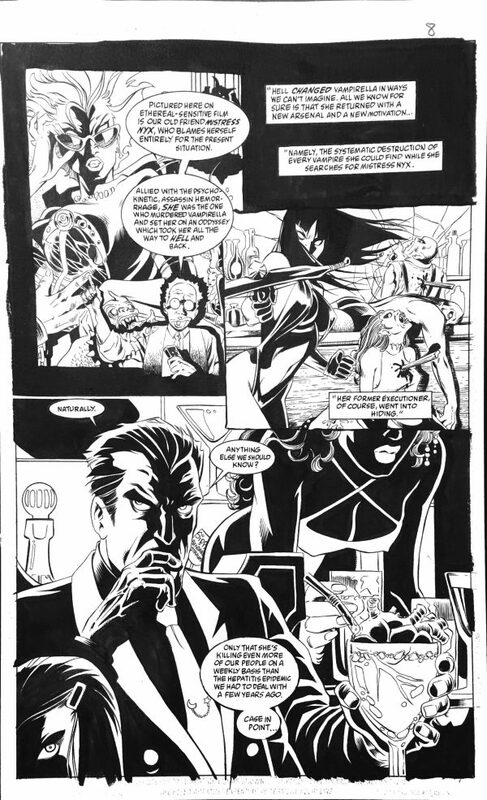 This is the original art for Vampirella: Rebirth #1 pg 8 Amanda Conner & Jimmy Palmiotti. This is the PaperFilms dream team working together. Great for display and learning!